Talat Market co-owners Parnass Savang and Rod Lassiter at a November pop-up at Ria’s Bluebird. In my first year back in Atlanta after seven away, I spent much of my professional life exploring a food scene that was vastly different from the one I knew before. Entire neighborhoods—most notably Inman Park, Grant Park, and the Old Fourth Ward, with Westview, West End, and Summerhill on their heels—have been transformed by an influx of restaurants. While not exactly foreign to their surroundings, these places are for the most part more polished and less idiosyncratic than those that predate them. There’s now a restaurant on Ponce imported from a New York celebrity chef and a Ford Fry joint on just about every corner. If all the pretty dishes served in all these stylish dining rooms are part of a deeper narrative about the particular hunger of Atlanta, I haven’t yet found it. But here’s what I did find in my first year home: a plate of mole, frijol, basmati, collards, and king mushrooms that married modern Oaxacan cooking with Atlanta-grown produce (and, yes, it was vegan); a crispy broken crepe heaped with squid, shrimp, garlic chives, and bean sprouts from a chef specializing in what he calls Georgia Thai food; a smoky, spicy, brooding lamb barbacoa taco that rivaled the West Coast kings; a hunk of Filipino smoked pork with skin that crackled like a good sourdough crust and a middle as luscious as Kerrygold; a dish mysteriously called “mushroom terroir” that layered potatoes pureed with red wine (to mimic Georgia red clay); dehydrated and pulverized Peruvian potatoes (to mimic fertile soil); foraged micro herbs (to mimic the leafy tops of root vegetables); and Burgundy and Perigord truffles (for an extra-decadent kick). It was some of the best food I’d eaten anywhere. And none of it came from a restaurant—at least not in the traditional sense. 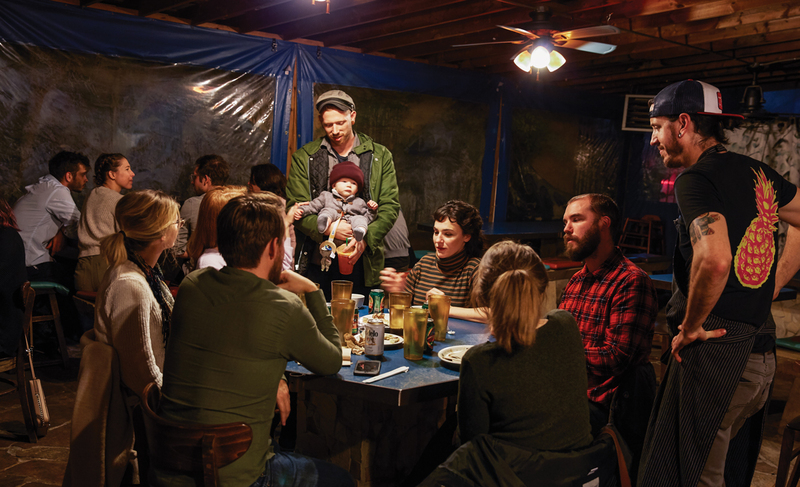 There’s something else people might recognize in the underground dining scene: themselves. That’s because the underground is more reflective of Atlanta than the city’s actual restaurant scene. It’s diverse, quirky, absent a discernible center, hard to define, but easy to recognize as being of this place. This place is not the South as stereotyped by outsiders. This place is the South as shaped by its multitude of cultures. Looking at the 16 most active and prominent pop-ups of the past year, I found that half of the people who run them are nonwhite and half are women. Atlanta’s most prominent restaurants have nowhere near that level of diversity. Why? It’s partly because, in the underground scene, the playing field is more level—stripped of the barriers to entry that make the restaurant industry more exclusive, more white, and more male. Mia Orino has been cooking for only a year, but she’s already drawn a cultish following to her Kamayan ATL pop-ups, where she serves a traditional—and outrageously kaleidoscopic—Filipino feast. It would have taken her far longer to climb the ranks in a brick-and-mortar (not to mention there isn’t a Filipino brick-and-mortar in Atlanta). And though Orino didn’t start Kamayan ATL with hopes of opening a restaurant, she now aspires to do so. Originally, she just felt compelled to preserve the cooking of her mother. Efforts like Orino’s ultimately are helping to diversify Atlanta’s restaurant scene. Two of the most anticipated restaurants set to open in 2019 are from chefs of color who came directly from pop-ups. Ronald Hsu, a former creative director at three-Michelin-star Le Bernardin in Manhattan, came home to Atlanta to launch his yearlong Lazy Betty pop-up, which will become a restaurant in Candler Park. And Parnass Savang’s wildly popular Georgia-Thai pop-up Talat Market is making the leap to a permanent space in Summerhill. 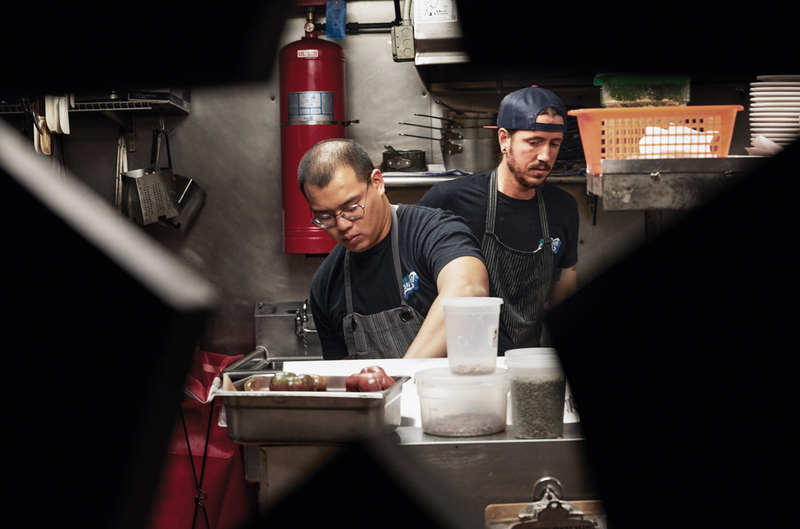 Savang was one of two Atlanta semifinalists for James Beard Rising Star Chef of the Year in 2018, and Talat Market was named one of last year’s 50 Best Restaurants by Bon Appetit. Savang has used his clout to help bring attention to other people in the underground. Soon after wrapping up his months-long pop-up at Gato in Candler Park, he brought Talat Market to the dinner series Chow Club for a weekend. Chow Club is committed to serving food you won’t find anywhere else in Atlanta. That includes lamb slow-cooked in yogurt by a Syrian refugee or West African–influenced lowcountry fare prepared by a Gullah-Geechee woman. 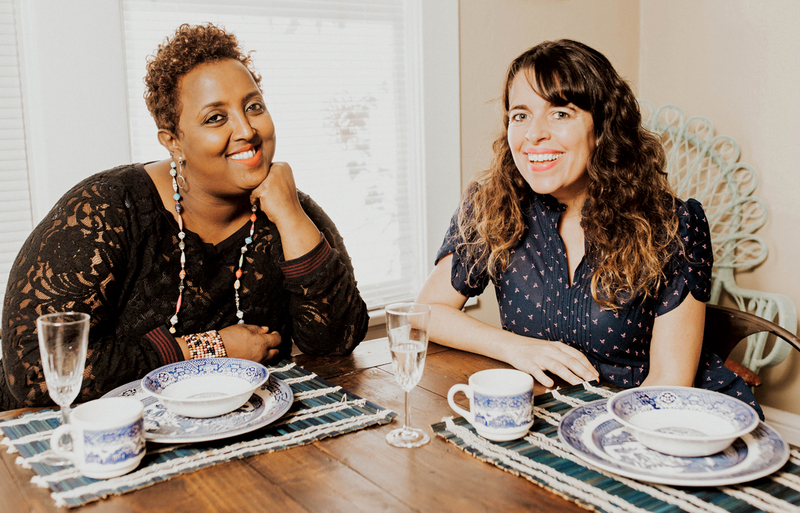 Over the past two years, Chow Club’s organizers, Yohana Solomon and Amanda Plumb, have brought the food of nearly 20 different nations and cultures to their monthly dinners, held in secret locations that guests learn only after purchasing tickets. (Though most of the 50-person dinners sell out, Savang’s sold out the fastest and gave their subscriber base a big boost.) The two women test potential chefs, most of them immigrants, by having them submit a menu and prepare a sample meal. Plumb, who for five years ran an underground dessert speakeasy to raise funds for the Atlanta Harm Reduction Coalition, points out that at Chow Club’s Korean dinner, for instance, the chef didn’t serve familiar staples such as bibimbap. 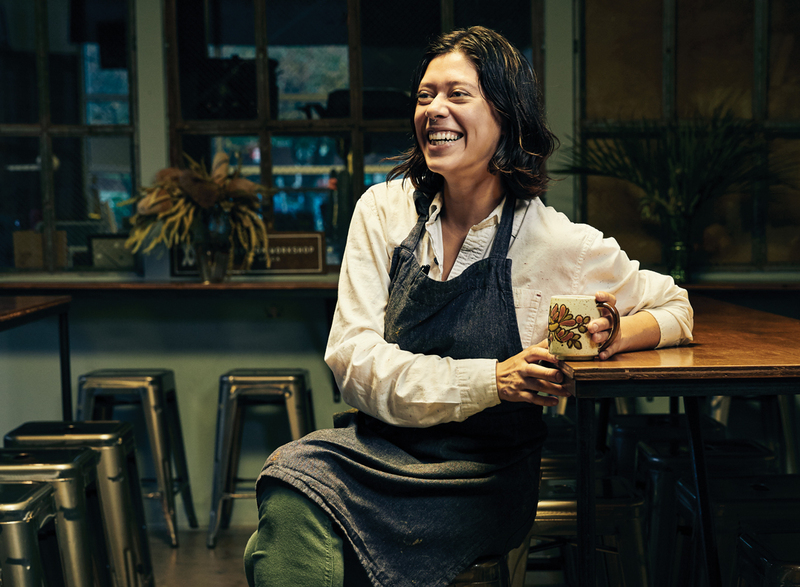 “She foraged local ingredients and had this crazy menu,” she says. 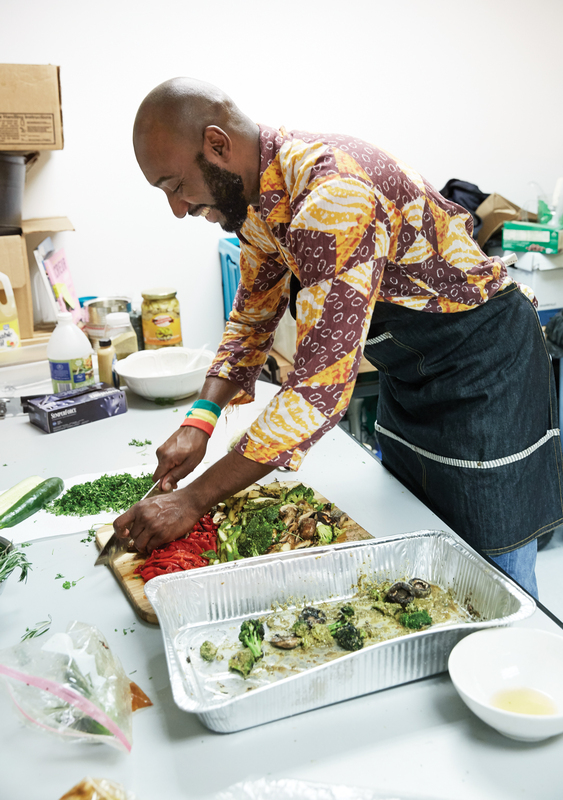 Shyretha and Mike Sheats, the wife-husband team who formerly worked at Staplehouse and now run the Plate Sale pop-up, also use their food to spread cultural awareness of the underappreciated legacy of black cooking in the South. (A recent menu included spiced fried quail with habanada pepper sauce, and harukei turnips and greens with stewed crowder beans.) 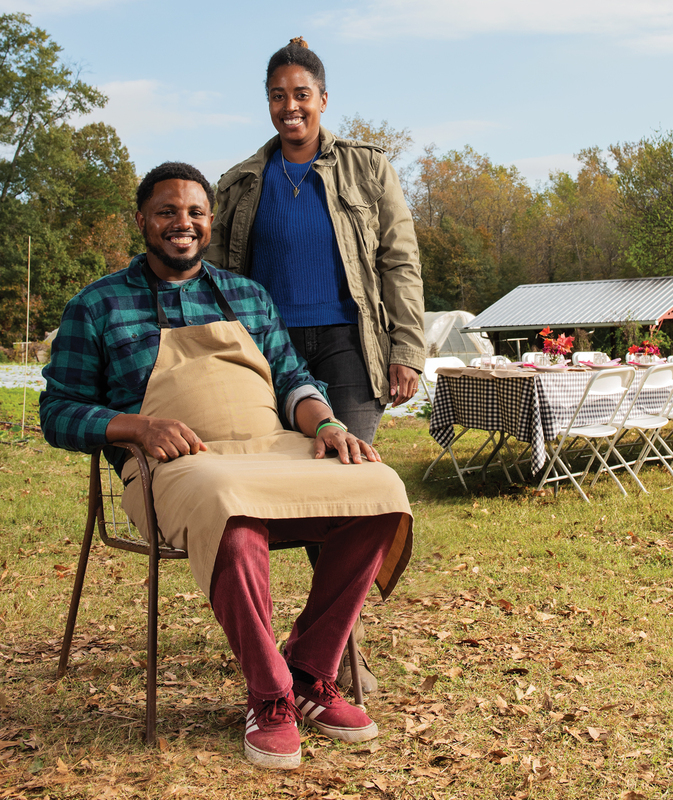 In addition, the couple is using their Athens-based pop-up—which makes regular stops in Atlanta—to raise money for the restoration of Shyretha’s late grandmother’s long-neglected farm in Carlton, Georgia. The farm will supply produce for the Plate Sale and provide more fresh fruits and vegetables to their neighborhood. She later discovered Mena’s Farm in Bankhead, a three-quarter-acre plot lived on and tended by Filomena Andrade, who emigrated from West Africa. One of Vega’s 2018 dinners relied on the farm for much of the produce on the six-course, $70 menu (including that vegan mole dish that floored me). 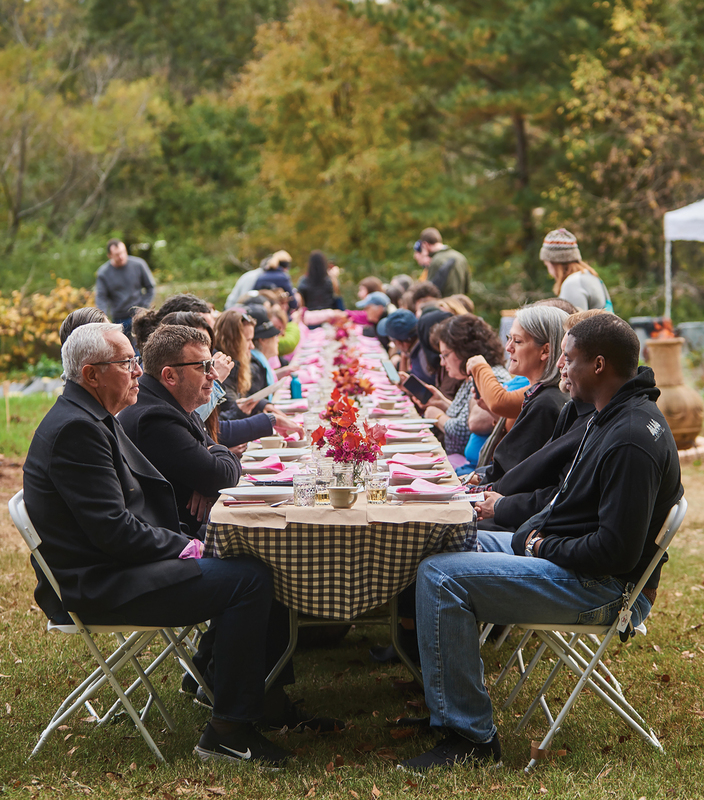 Proceeds from the dinner went toward the farm’s much-needed irrigation system. Vega’s also working on securing a facility for making masa, which she’ll use for Chicomecóatl and will sell to the public. The masa will be crafted with heritage Mexican corn that can be grown in North Georgia. She already has the seeds.